IHDA was created by the state legislature in 1967 pursuant to the Illinois Housing Development Act as a self-supporting agency to finance affordable housing across Illinois. IHDA does not use taxpayer dollars to sustain its operations, although it does administer publicly funded programs on behalf of the state. Since its creation, IHDA has provided more than $18 billion to finance more than a quarter million affordable homes. 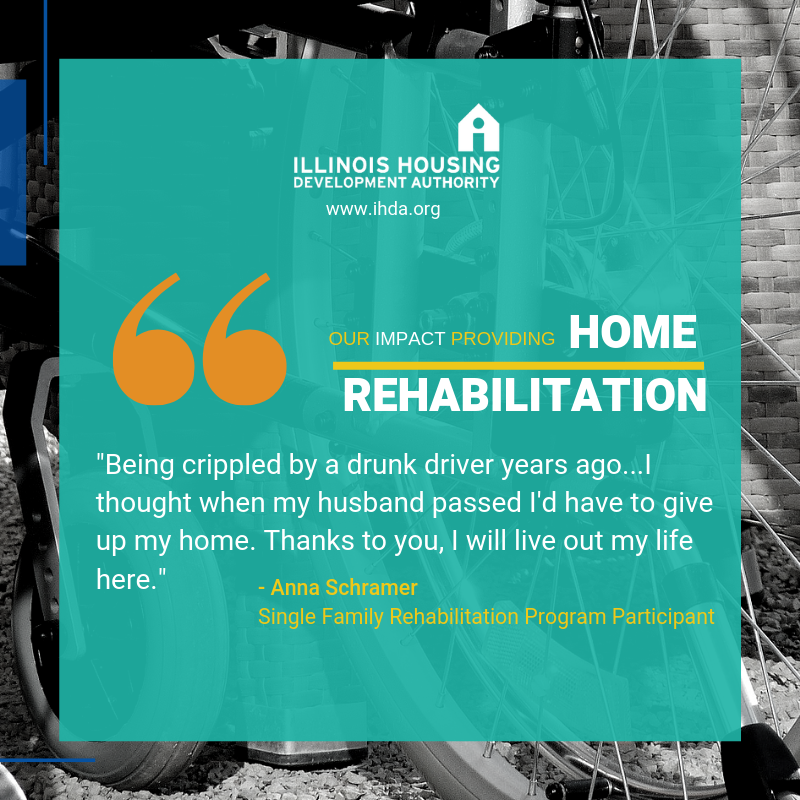 IHDA accomplishes its mission through a number of funding sources including the Illinois Affordable Housing Trust Fund, Illinois Affordable Housing Tax Credits, the allocation of federal Low-Income Housing Tax Credits and HOME Investment Partnership funds. IHDA is also a bonding authority and independently sells bonds, based on our strong credit rating of A1/AA-/AA- from Moody’s Investors Service, Standard & Poor’s and Fitch Ratings respectively. At IHDA, we connect people with financing programs for their homes. You could say that we’re a bank with a public mission: To finance the creation and preservation of affordable housing in Illinois. We partner with lenders, developers, local government, nonprofits, community groups and others to deliver low-cost financing programs. We provide financial assistance to low- and moderate-income homebuyers and homeowners, offer resources to developers who build or preserve affordable and mixed-income rental housing and provide oversight for hundreds of affordable rental communities across the state. Mortgage loans that provide up to $10,000 in down payment assistance and a competitive interest rate for a secure, 30-year fixed-rate mortgage. Grants that enable low-income homeowners to pay for repairs and improvements to their homes. Free foreclosure prevention assistance for homeowners struggling with mortgage payments. Historically, IHDA has financed more than 150,000 affordable rental homes. In fact, one of every 18 rental units in the state was built or rehabilitated with IHDA resources. Our investments result in quality housing that serves working families, seniors, and persons with special needs. We provide resources to help people across the state find apartments that fit their budgets. If you’re looking for the perfect apartment for you and your family, there’s a free bilingual website, ILHousingsearch.org, that offers a range of tools to make the process easier. It’s also free for property owners to list available apartments. And we also provide oversight and rental assistance for affordable and mixed-income rental communities. IHDA supports hard-hit communities still struggling with the economic and social costs produced by the foreclosure crisis. This includes support for units of local government and Not-For-Profit partners as they target blighted, vacant residential properties for maintenance or demolition, greening and eventual reuse.